Thank you to Hannah for the second review on this product. Yes folks, it’s the second. Why have two? well because a product may not work the same for someone else. It’s best to form an opinion for yourself based on multiple reviews. So, don’t let that hold you back if you see something reviewed bu want to talk about it yourself! I had never paid much attention to foot care for races other than no cotton. I never really had an issue with blisters either. That all changed at the Peak Ultra when I tackled the 30 mile course (33.4 miles was the official distance) and finished with a whopping 19 blisters. I hadn’t been prepared to spend 20+ miles with wet feet. 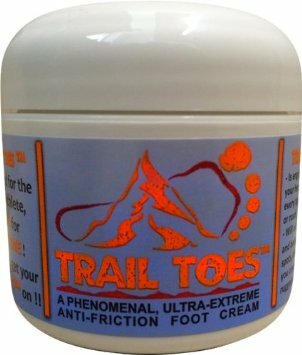 People were talking around the fire about this product called Trail Toes. I took a sample and figured I would give it a try but didn’t pull it out till the Death Race. 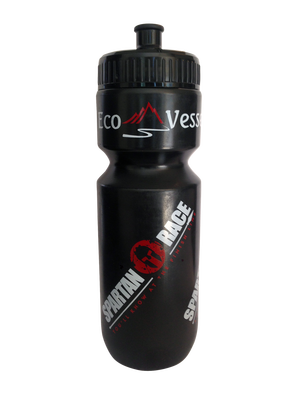 It was at the Death Race that I saw and heard people using it and that they weren’t getting blisters, hot spots, or maceration and they had been going for over a day. With all I had heard and the results I was seeing, I decided it was the perfect opportunity to try it when I went out on a challenge with Adam. No blisters, no hot spots, no maceration. It was pretty amazing. I have since gone on to use it for every event and have had no issues with my feet, other than sore and tender from being on them for so long. Trail Toes is definitely worth it. Another gem of a review from teammate Mike Downey! Do you get blisters from running? If so give this product a try. It is basically body glide but for your toes. I have a real bad blister issue from these races and have been trying everything I can to get the issue under control. I heard about this product and figured couldn’t hurt. It comes in a lil jar and is the consistency of Vaseline. You just apply it to your toes like you would any other ointment or cream. No real odd odor, it applies easy and comfortable on the skin. I wore this for the NJ super and while it didn’t cure the blister issue 100% for the incline and decline we saw, and the mileage. I had very minimal blisters so I call that a success in my book! 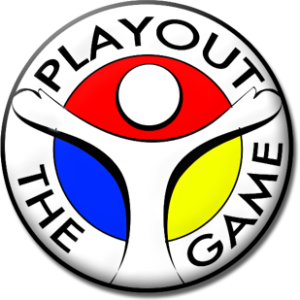 You’ve all heard of them by now, and if not let me introduce you to one of the funnest and fittest games on the planet; Playout! What is Playout! you ask? When you look at the deck it seems like some sadistic sob messed with your Uno deck and put all sorts of exercises on them. Why would they do that? 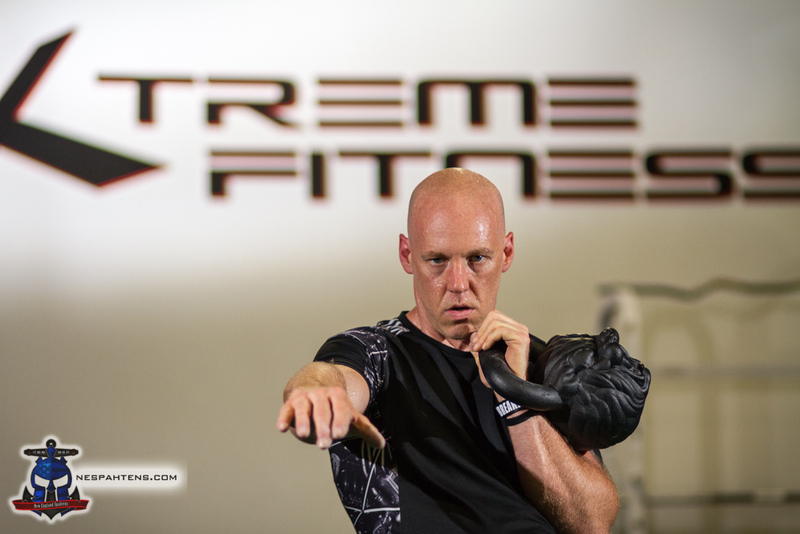 “No longer relying on equipment, I was free, and the world became my gym, or better still, my playground! I was running and climbing, playing basketball with local Tibetans, doing pull-ups at playgrounds, and practicing martial arts, yoga, and classic calisthenics whenever I could. 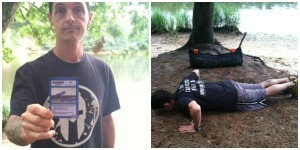 You may have met Eddy, he’s become an honorary Spahten as of late, showing up to local OCR’s and challenging folks to a game or two. 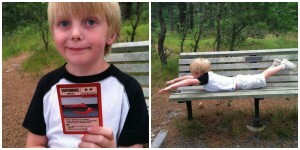 He was gracious enough to send me a deck to check out and I’ve been addicted to them every since. 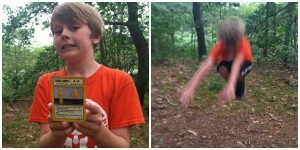 taken them on hikes. We have just winged it most of the time and every few hundred feet we would stop and pull a card and bang out whatever the challenge was. Eddie mentioned that we should play one of the All-Star games and even chose a winner right out of the gate. He was right, and the boys kicked my rear-end. I have been force feeding myself cards ever since them in order to achieve great vengeance! Playout! has endless possibilities as far as games and level of challenge go. I know the next time the boys and I play we are going to do Playout tag? How? Just like a simple game of tag, someone is it and you tag another player. You divide the cards up into the three piles by color. The tagged person goes over, grabs one and bangs it out. How about something harder? Challenge your buddy to a Blitz and pick ten cards. Whoever completes them in the shortest time possible wins. Are you all about endurance? There are full 24 hour challenges. Again, the game, and mini-games, are endless. Oh, a little birdie told me yesterday that a new specialized deck is coming out… and you guys are going to love it. Yeah, it’s an OCR specific deck? Did I just blow your mind? 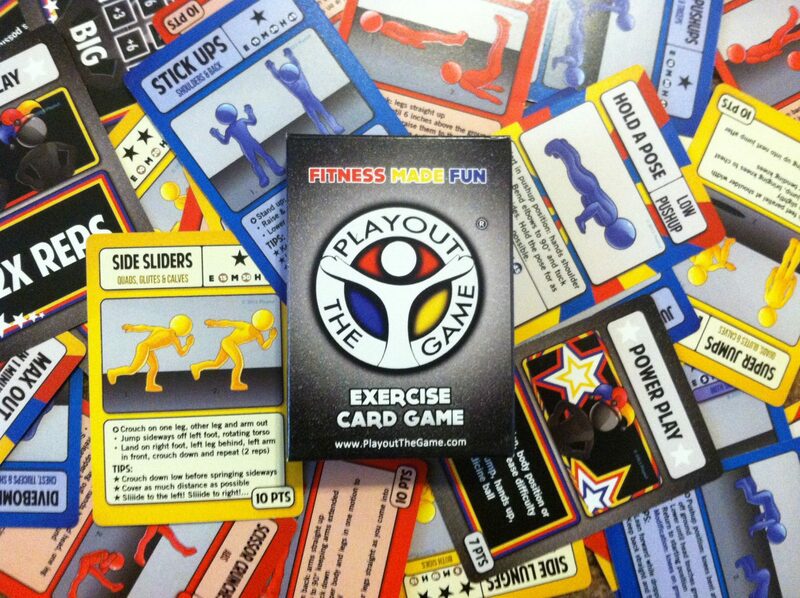 As summer winds down and we seemingly spend more time inside, Playout is the perfect game to warm-up and workout with in the comfort of your home. There really isn’t a time or place that you can’t get a quick game in. Check out Playouts website for more info and order your deck today! Thanks Paul for the first, of hopefully many, headlamp reviews!! The Petzl Tikka 2 is a no frills, affordable, but in my experience rock solid headlamp. I picked this up in 2012 for the Hurricane Heat, and while it wasn’t needed, it’s been in my pack for two HHs, and two Beasts, plus a million late night dog walks, a million lost-toy-under-the-couch expeditions, and has yet to fail me. It takes three AAA batteries, and is simply enough to use – a rotating light unit, a single strand headband, and a button that chances light output levels, and enables the flash mode. It’s not a top end model, but it’s survived submersion, hours of bouncing around in a pack, and dog slobber wit no problems. 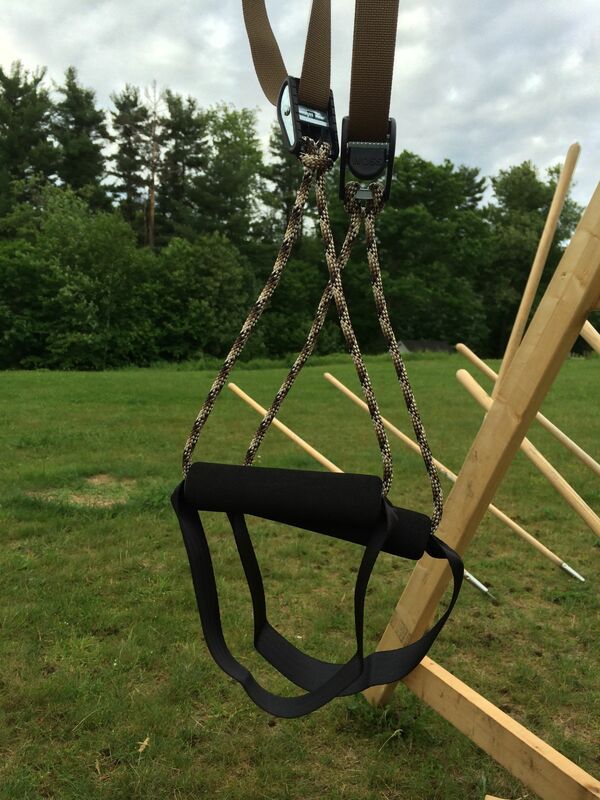 Thanks to Michael Carr for the great review, and a heads up on this cool product!! 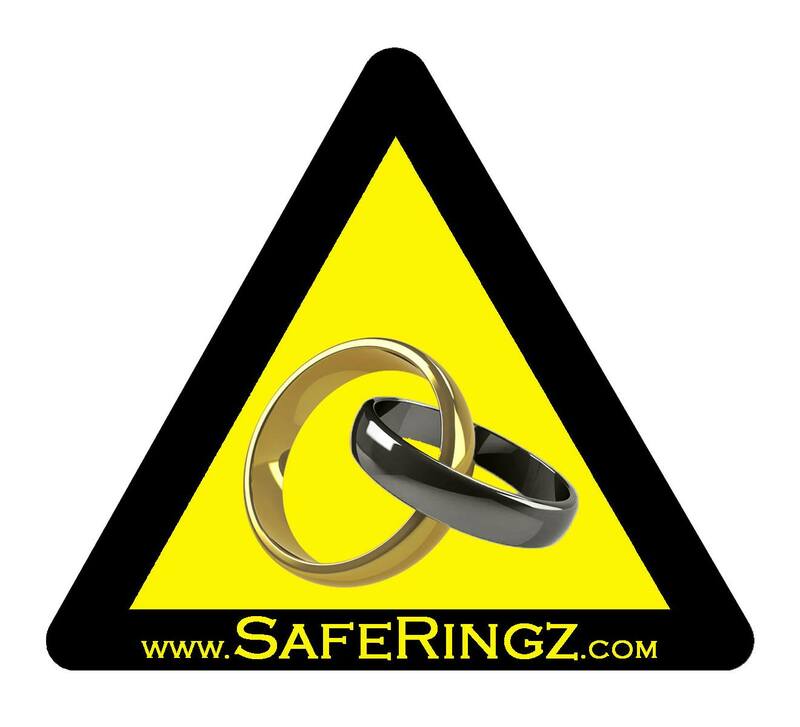 I was skeptical at first when I saw a friend’s post about a rubber wedding ring. For 25 years, I have always taken my wedding ring off when I do *anything* with my hands, especially OCR races and workouts. Why? 3) I hate the feeling of anything pressing on it — it really affects my grip. But for $6.99, I figured why not try it. I had very low expectations. My ring arrived by US Mail literally as I was about to leave my driveway to drive to VT for the Shale Hill Tri-Obstaclon. I was thrilled to be able to take it with me for a trial run. As far as looks go, it passes the 8′ test. That is, up close, no one is going to mistake this for the real thing. But at 8′, you would never know I’m wearing a rubber ring. I put it on, and of course, it felt just like a squishy version of my wedding ring — I thought it was going to annoy me the whole time and distract me, and I’d eventually take it off and throw it in the woods. 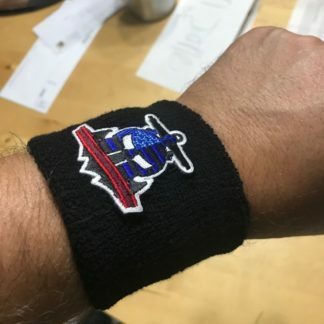 I can honestly say, I wore it for the entire 7 hours, biking, swimming, and performing 80+ obstacles, most requiring tremendous grip strength. And I didn’t think about the ring once. Ok, that’s not true, I thought about it when another racer ran up to me and showed me the same ring on her finger, in black. Surprisingly, it didn’t impede my grip at all, didn’t hurt whatsoever when I was gripping ropes and bars, and was over all just a non-issue. And it held up great. Rinsed it off at the end and it looked like I just took it out of the package. 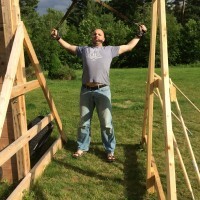 Since then, I have worn it in the gym three times without a single problem, including one very intense dead-lift and pull-up workout, one hour long boot-camp, and one kettlebell-centric workout that included a set of 300 one-arm Russian swings. 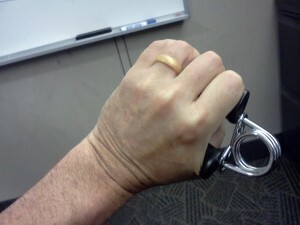 I did get tear-out in my palm on that set, but no issues with my ring finger. I am so happy to be able to show the world I am taken as I enjoy the activities that bring me so much enjoyment! I especially like that a portion of the sale goes towards sending free rings to our service men and women. 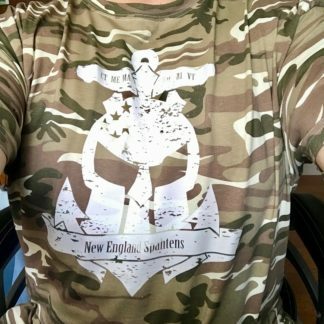 SafeRingz has extended an offer of BOGO, so head over to http://www.saferingz.com/ enter in “New England Spahtens” on checkout and pick one up for yourself and your partner!! 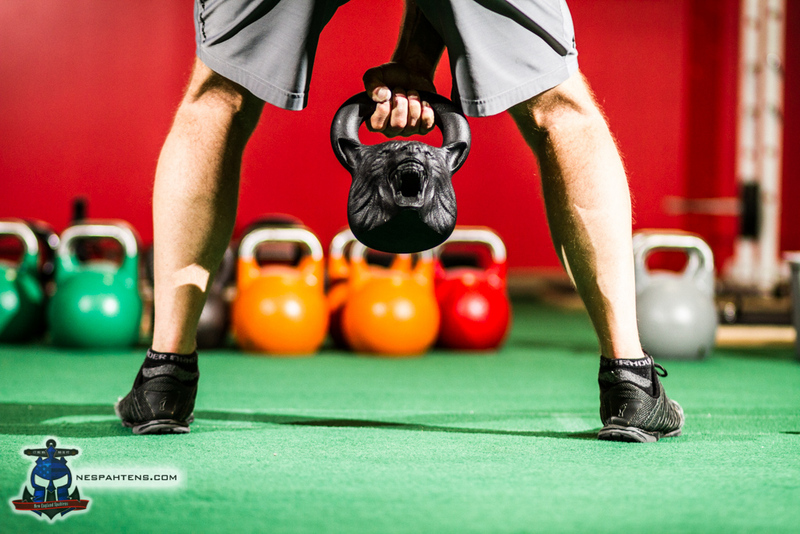 We’ve all seen TRX systems in our gyms. Yellow and black webbing that people use for all kinds of bodyweight workouts – from pushups, pullups, crunches and more. 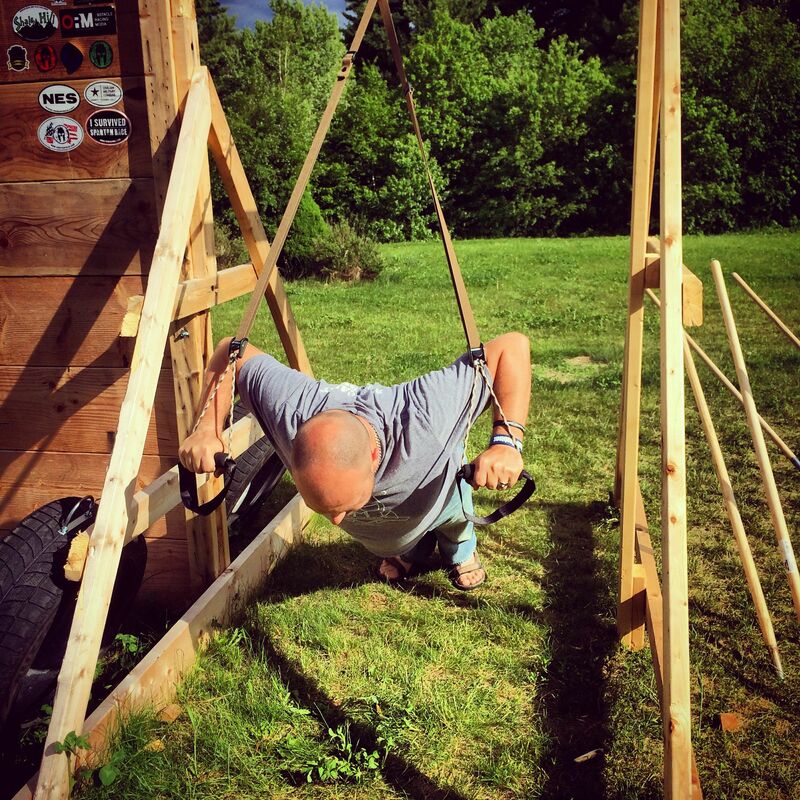 So, when I recently extended my backyard wall to include a pullup bar, I wondered what else I could put out there – and while I briefly considered gymanstic rings, I decided to go with something like a TRX system. I knew you could make one, easily enough – but all the instructions I found to do that involved tow straps from a car and knots that I tied by hand – and assuming for a second that any knot I tie is going to hold – they also looked messy. So, to google – and I turned up the Woss Enterprise systems. 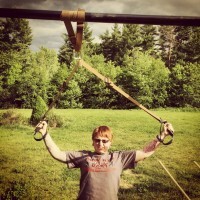 Woss make a clone of the TRX systems. 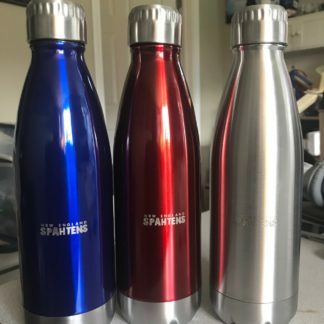 The military version I bought ran me $25 from Amazon, so I thought I’d be getting a product that wasn’t particularly great – but I figured anything I didn’t make myself had a better chance of survival. Firstly – to get the price down to $25, they don’t ship this in a fancy box or packaging. It comes bundled up with elastic bands in a clear plastic baggie. There are instructions and a printed sheet of example workouts, but no DVD or wall planners. They went barebones on the things that simply don’t matter, and I’m very glad they did! I wish more companies would sell the products for less, and cut out the junk we end up throwing away. In the package, we basically got two handles – foam covered PVC pipe, with webbing (looks like seatbelt webbing) for your foot holds, and some heavy duty paracord to secure it to the strapping. There are no seams visible, so those must be tucked into the PVC piping. The strapping has two thumb release sliders, and two regular sliders and a metal piece of hardware in the middle to attach it to things. You loop the paracord through the thumb releases to attach them together. To attach the whole thing to your “whatever”, you have some webbing with a small pipe sewn into it which can be put over a door frame for indoor use – or you can loop that over something like a pullup bar, and use the included caribiner to attach it to the sliding metal hardware in the middle of your main strapping. It’s not as confusing as it sounds – we put ours together in minutes with no need for the instructions. The build quality is great. The strapping isn’t as thick as a TRX strap, but it’s as big as the strapping I’d use to tow a car, so it’s definitely going to do the job. The secondary, regular sliders aren’t particularly tight, but there only job seems to be to hold up the slack once you’ve set your height. 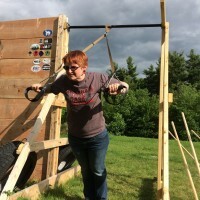 Movements on the system are as easy as they are on a TRX system (or not easy – if you get my drift), and it behaves exactly as a TRX system does – but, for $25. 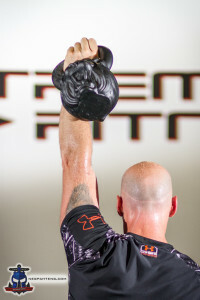 For those of you at FIT Challenge this past weekend you already know what a Wreck Bag is. You either love them or they were the bane of your existence on one of the most brutal carries up and down a hill on the course. I’m pretty sure most of you love them though, right? 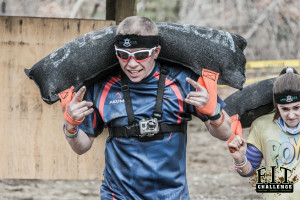 I mean, Kevin from Unleashed carried two of the 50lb Wreck Bags when I saw him out on the course, if that’s not love than? 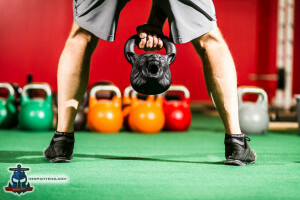 Wreck Bags are the brain child of the folks at Lindon Fitness, a locally owned and operated company. They come in two sizes, the 25lb Wreck Bag or the 50lb bag. They were definitely more convenient as far as being able to carry them, more so than just a pancake, mainly because they have straps. Because they are long they sit comfortable on your back and shoulders, mighty convenient! Not only were the bags there on the course but they had a tent in the vendor area. There were folks there to show you ways to incorporate them into your exercise routine. 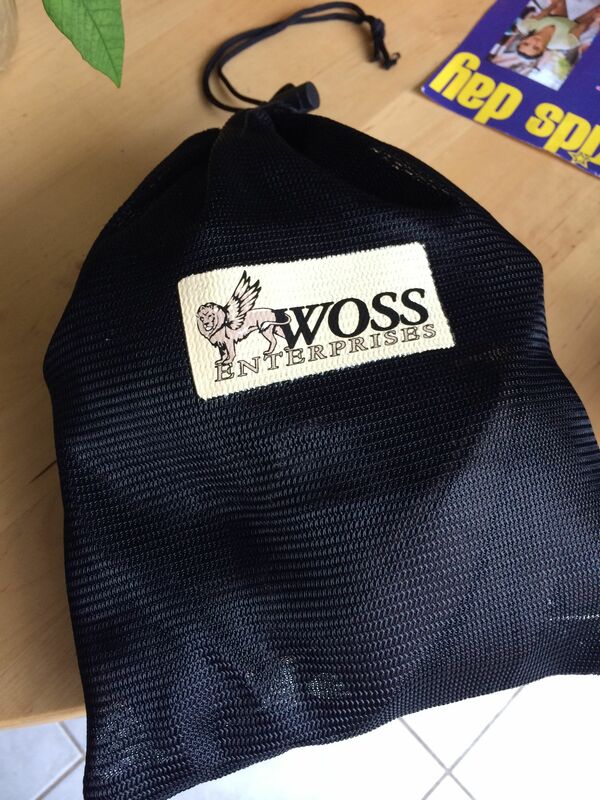 A little birdie told me that one of our own is working on some workouts for Lindon using these bags, yeah Spahten’s leading the way!! Yesterday I crushed a short workout with my 25lb bag and today I am feeling it. I did some high intensity interval training, including squats, thrusters, military presses and a few more. I love it’s versatility. The only negative is I see the 25lb bag becoming light very quickly. I’m not a huge gym guy lately, and do most of my workouts and runs at home, so the 25lb will do the job as most of what I do is body weight stuff, but maybe a 50lb would come in handy at some point. If you have not seen a Wreck bag, or put your digits on one, now is the time! 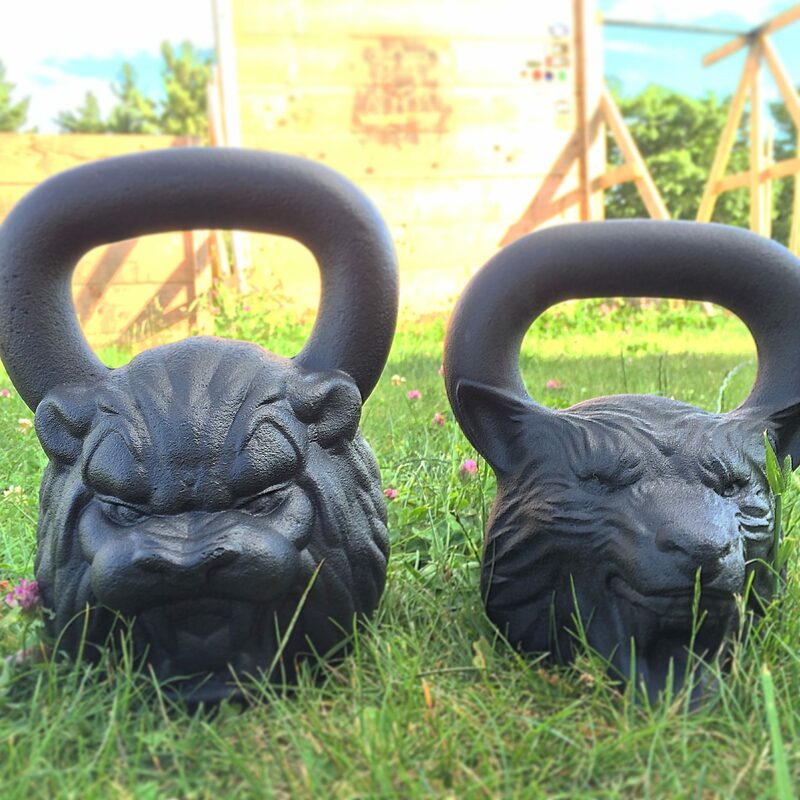 They are priced extremely well at $30 for the 25lb bag and $50 for the 50lb one. The price per pound is hard to beat. Like I said already, they are extremely versatile and I can’t wait to see what comes out as far as routines and exercises to do with them. I mean, it’s not hard to figure out what to do with them, but it’s going to fun to do some thigns that might be outside of the box. 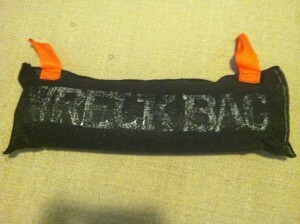 Check out Wreck Bag at http://www.lindonfitness.com/ and support and awesome local company who is really awesome at getting in touch quick-like! !